Happy Fourth of July! I hope you are enjoying your day off. We had some rain here, but it hasn't stopped people for using fireworks. Today, I have a card inspired by Tami White. 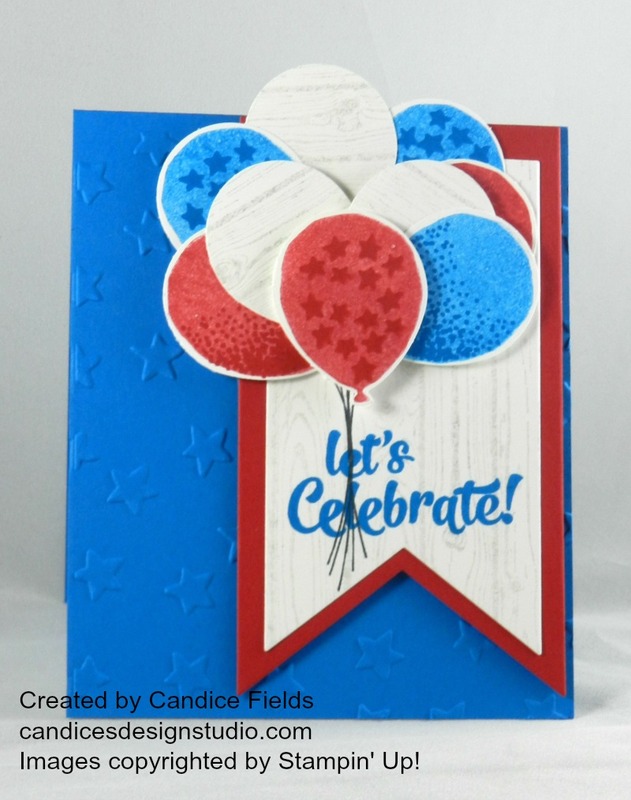 I was on her YouTube channel and saw a beautiful patriotic balloon bouquet card. I just had to make a similar card!